Oooh, that slice of pie looks GOOD. Love the dollop of whipped cream on top! Loved reading your review, and thanks for the shoutout! The pie looks awesome. But I'm sorry the ending of the book wasn't as good as it could have been. Regardless, sounds like the book held the students' attention. 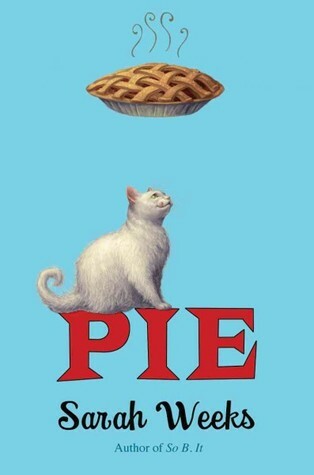 the book looks rather cute..and who doesn't love pie? Glad it was worthwhile, love the idea of pie day at school. Sounds fun! That buttermilk pie looks delicious. I love buttermilk pancakes and I like using buttermilk in my yeast breads, but have never tried buttermilk pie. Have to change that! Hope you have a nice New Year's! What a great read-aloud idea. I loved Weeks' So B. It book and will have to give this new one a try. I love that you are hosting a pie day at school!